Jim Crean has been a prominent figure in the music scene for over 27 years. Born and raised in Buffalo, New York Jim began what was to become a music career playing guitar and singing at the age of 13. Soon after that the taste of playing in a band made him realize he was headed in the right direction and placed him playing the club circuit throughout the 80’s. Jim played countless live performance in his hometown with bands like STRUTTER & STRYCHINE then in 1986 he was asked to front the well established Niagara Falls Band BLACKSTAR which had a huge following and reputation and with this Jim accepted his roll as the new front-man. Jim was only 17 when the band hit the road and tour across Canada and the US which lasted for 2 years Jim recorded an album with BLACKSTAR but the album never saw the light of day. After spending 2 years becoming a seasoned musician of the road and studio Jim realized it was time for him to return to his home town and form his own band a super-group of sorts called CHINA SYNDROME. The band gained notoriety and success after releasing an album of originals, many of the track received radio play. Jim was always striving to become better at his craft of singer, songwriter and guitarist and with this in mind he fronted many other local favorites such as SHOTGUN WEDDING, CRACK ALICE, CRYTUFF & CONCRETE JUNGLE while a member of CRYTUFF Jim performed almost every night for about four years straight, once again Jim found himself touring the country throughout many tours. In the early 90’s Jim decided he needed to spread his wings and take what he had learned over the years and become and front his own band known as THE JIM CREAN BAND. The new band played many Marquee shows such as showcasing in New York City and being broadcast live on the Nationally Televised Cable program VIEW AT NIGHT during which time Jim recorded his self titled debut album with long time friend and major influence Phil Naro (Talas, Peter Criss, 24k) at the production helm, the album also featured members of CONEY HATCH an international recording band from Toronto, Canada. This line up filmed a video for the track “Running on through the night” which was aired on MTV twice. Jim’s solo effort was receiving rave reviews both nationally and internationally Japan’s Burn Magazine (considered by many as ultimate rock magazine) gave Jim’s debut 4 ½ out of 5 stars. Soon many offers started pouring in for a major release but that quickly changed as the Grunge Music Scene seemed to be talking root and Melodic Metal was falling to the wayside. Jim continued to write music and in 2000 Jim called upon his friend PHIL NARO to record and co-produce his second solo release Elegance, Excess & Decadence with STEVE MAJOR. As with Jim’s debut this release also received rave reviews. All of Jim’s hard work and dedication to his musical career was finally starting to pay off. He was asked to appear on many National Tribute Albums for bands like ENUFF ZNUFF and CHEEP TRICK. Soon after that Jim & Phil started performing showcases in support of his second solo effort. The Duo appeared live on Canadian TV which was air worldwide which gave Jim the opportunity to tour and open for many nationally well known bands. 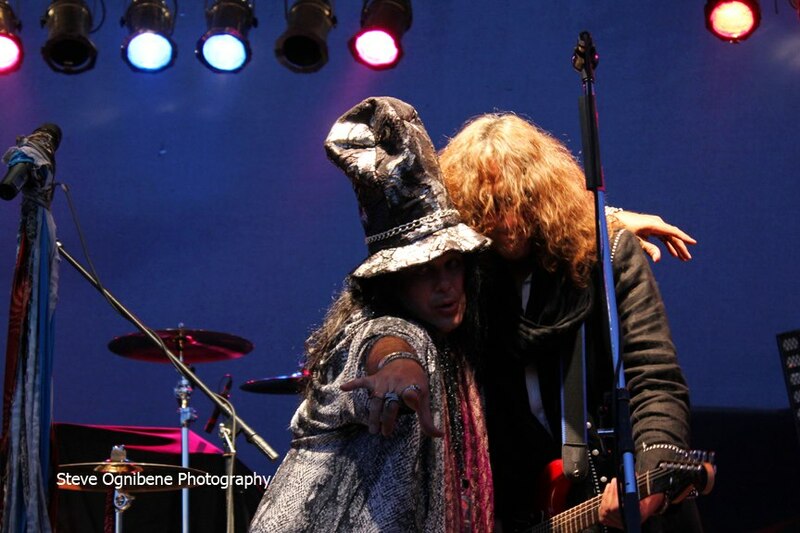 Jim also returned the favor to Phil and performed on two of DDrive’s release a band that Phil Naro now fronts. Jim is recording his 3rd solo effort Velvet Crush for release later this year on Melodic Revolution Records. Phil Naro & Steve Major will once again be at the production helm with many talented guest musicians appearing on the release. When not working on his solo career Jim is busy performing with CARMINE & VINNY APPICE DRUM WARS as their Vocalist or performing with his Tribute Band HAIR NATION, as the name suggests it’s a tribute band performing the classic of 80’s hair bands make sure you check out this band.